Caption - South African Railways (SAR) 15AR class 4-8-2 no.1807 with the East London to De Aar passenger at Schoombee. 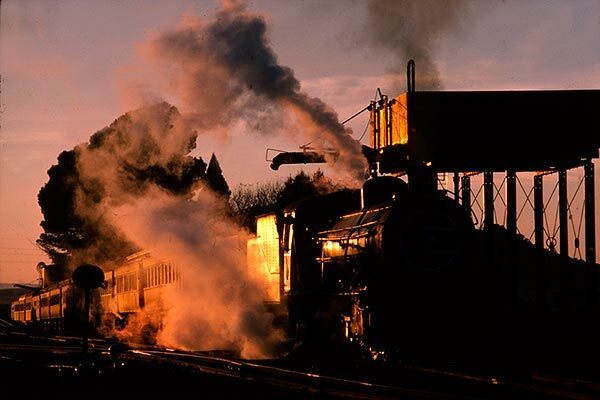 The tender has been filled and the fires cleaned and the train is ready to depart for Rosmead as the sun rises in the east. Taken on 25th June 1978 the train still has some clerestory coaches in the formation. Had the train had an additional coach then a pair of 15AR's would have been necessary.